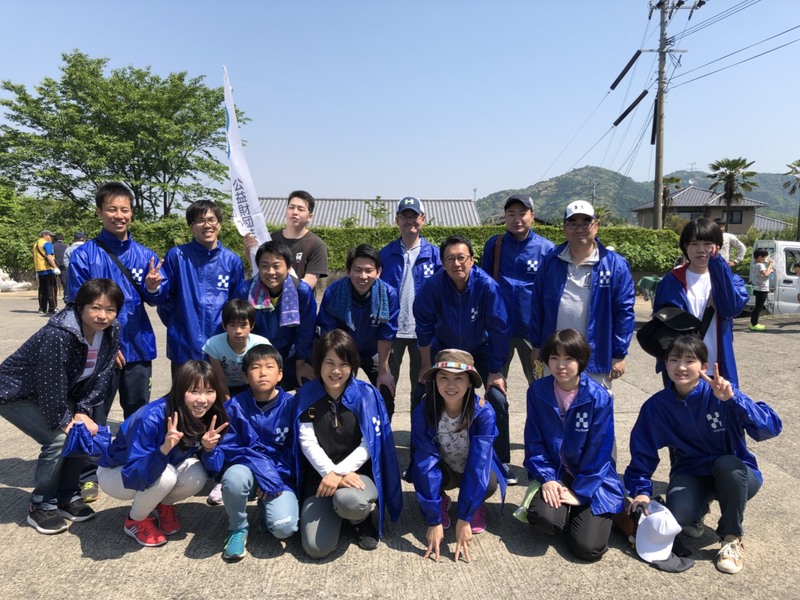 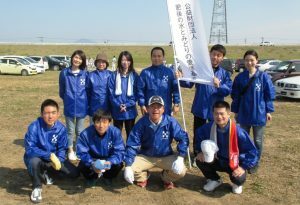 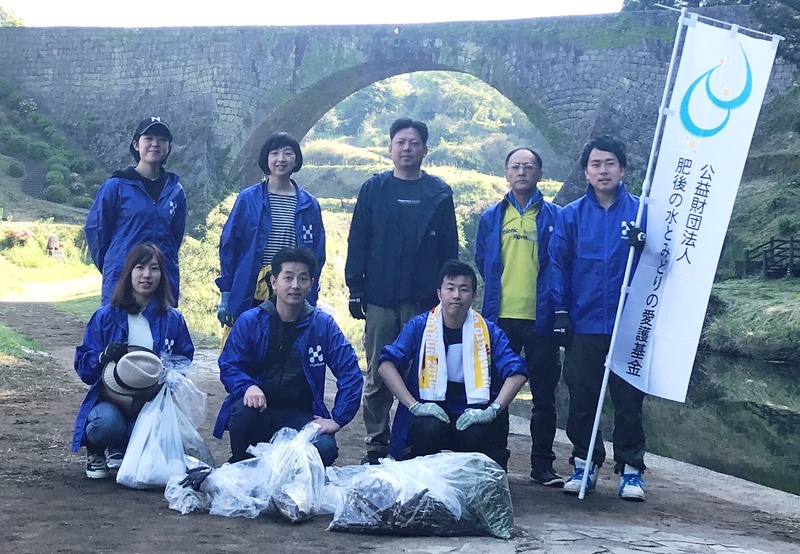 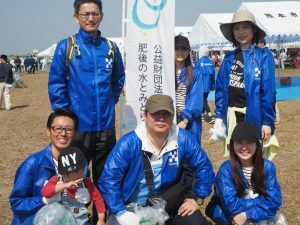 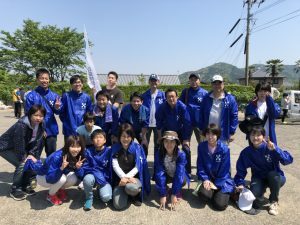 On April 29, 2018（Memorial day of Showa), staff members of the Higo Bank branch in the Midorikawa watershed area participated as a volunteer for simultaneous cleaning held in Midorikawa Basin with the Kashima inubuchi venue as the headquarters. The photo shows the hard clean-up teams working from early morning. 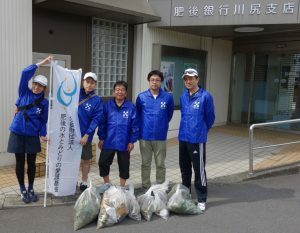 Kumanosho branch staff members (Kashima Inubuchi venue) who participated in this cleaning -up event for the first time. Tomochi branch staff members (Misato-machi venue). Mihune branch staff members (Mihune-machi venue). 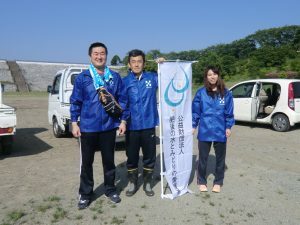 Kosa branch staff members (Kosa-machi venue). 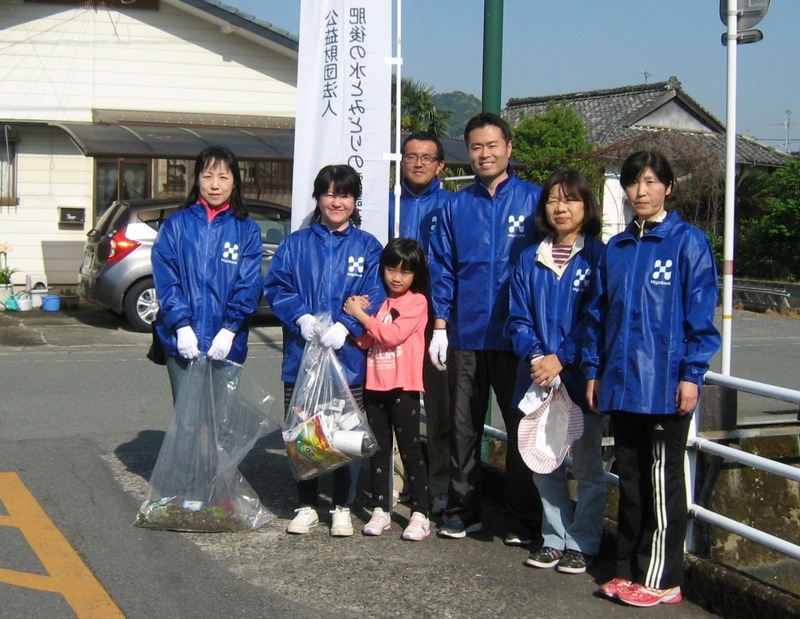 Kashima branch staff members (Kashima inubuchi venue). 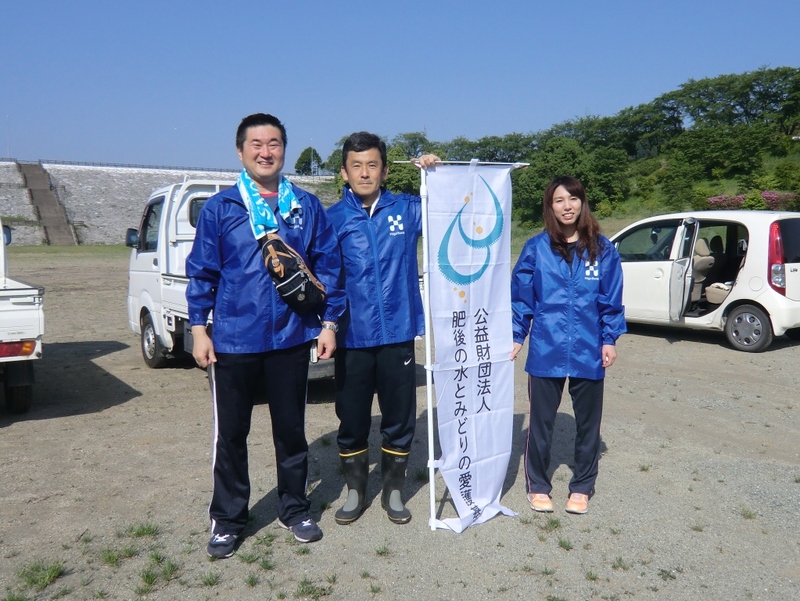 Matsubase branch staff members (Uki city Toyono venue). 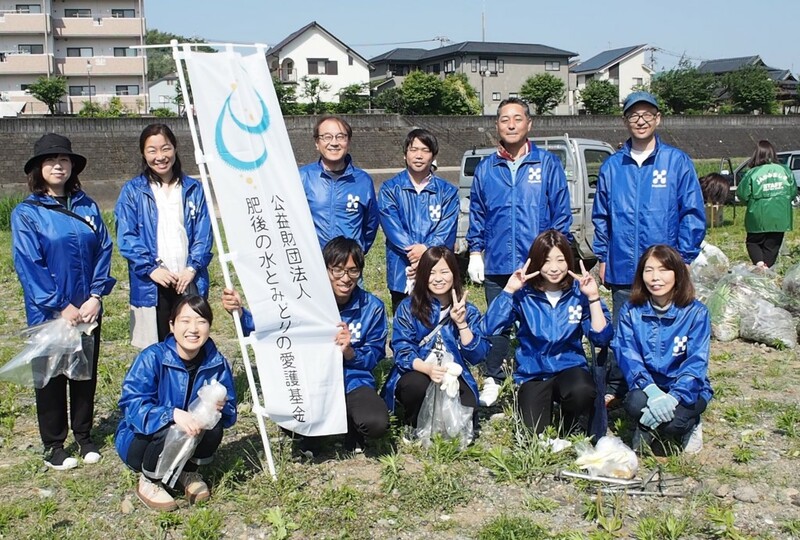 Hamamachi branch staff members (Yamato-cho venue). 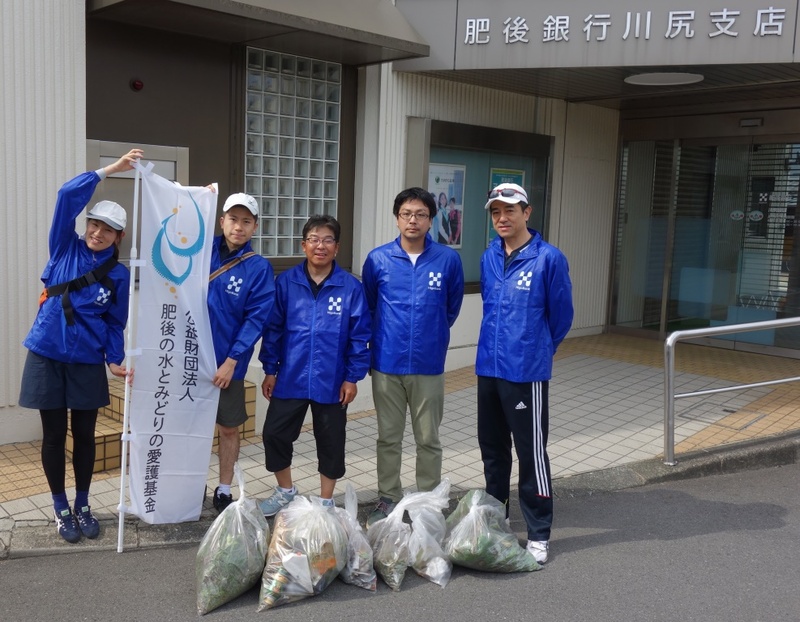 Kawashiri branch staff members who joined in simultaneous cleaning-up of 2018 at Kawashirii venue which was held on June 3 (Sun).